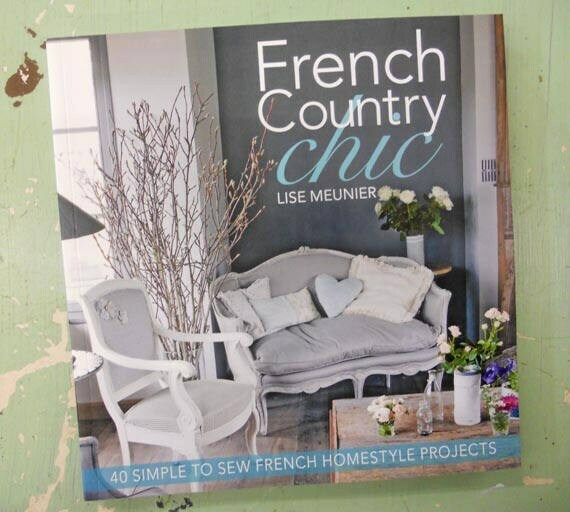 French Country Chic: 40 Simple to Sew French Homestyle Projects by Lise Meunier. Be inspired by classic French chic with vintage lace, floral fabric and beautiful embellishments. Easy-to-follow instructions fro charming projects, such as table linen, slipcovers, cushions and bags. These stunning projects require little material and even less time, so get started: recover, reclaim and revamp!" Get ready for summer with these 40 simple projects. Ranging from pillows, sachets, quilts, bags, and duvets to chalkboards, plaques, pincushions, and cross-stitch. This book is a one-stop-shop for home décor, crafting and stitching. Projects use: fabric, lace, embellishments, paint, modeling clay, paint, glue, and thread to name just a few supplies used throughout. This book is the perfect addition to any crafter's library.